Bally’s Hotel and Casino first opened in 1973 as the original MGM Grand, under the ownership of Kirk Kerkorian. It was the largest hotel in the world, costing a then staggering $106 million and would remain so until Steve Wynn opened the Mirage in the late 1980’s. Much like the current MGM Grand, the property was then heavily themed with movie memorabilia as Kirk Kerkorian had a large financial interest in Metro Goldwyn Meyer. The hotel was the number one destination on the Las Vegas Strip and was a highly sought after property for celebrity headliners, such as the Carpenters, Barry Manilow and Joan Rivers, to name just a few. In 1980, one of the restaurants in the property caught fire, which spread throughout the hotel killing 85 employees and guests. Much of the property was destroyed, Kirk Kerkorian quickly rebuilt in under 8 months. The fire was such a disaster that it caused massive fire safety reform across the globe. 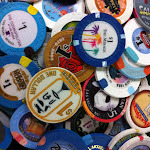 Casino- 67,000 square feet of gaming space, including 1,500 slot machines, all major table games and a poker room. At more than 450 sq. ft., Bally's Classic guest rooms are among the most spacious standard accommodations on the Las Vegas Strip. Choose from one king or two queen beds, and smoking or non-smoking rooms.